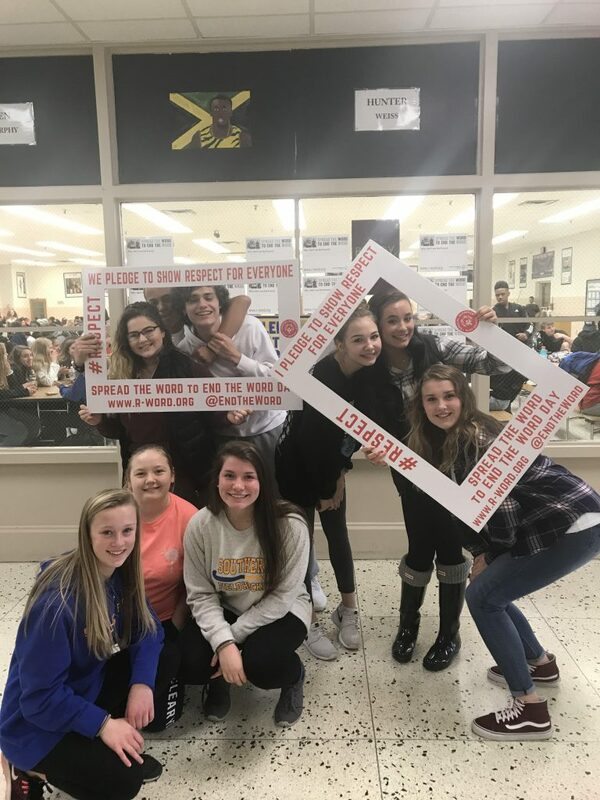 The first Wednesday of March every year is Spread the Word to End the Word Day sponsored by Special Olympics and Best Buddies. 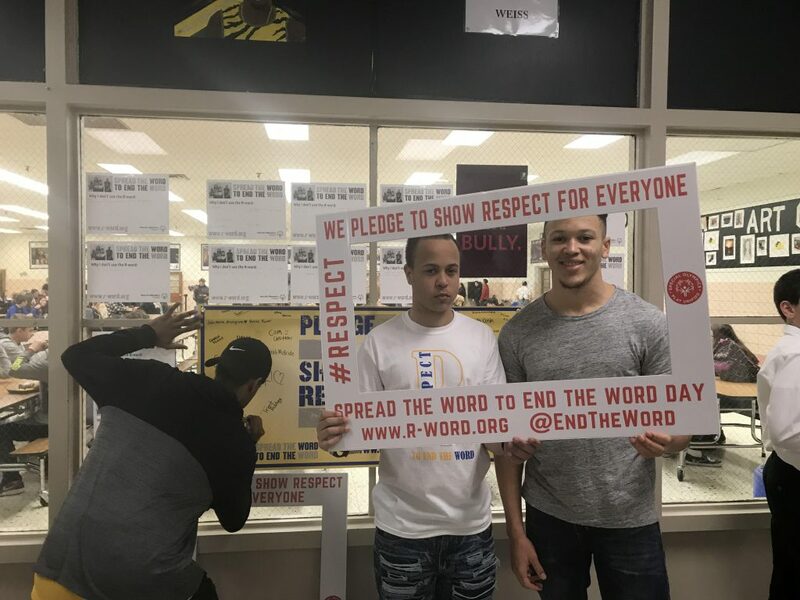 This year marked the 10th year people all over the world take the day to remind people words hurt and it’s never ok to use the word “retard” to describe people, things or even a thought. 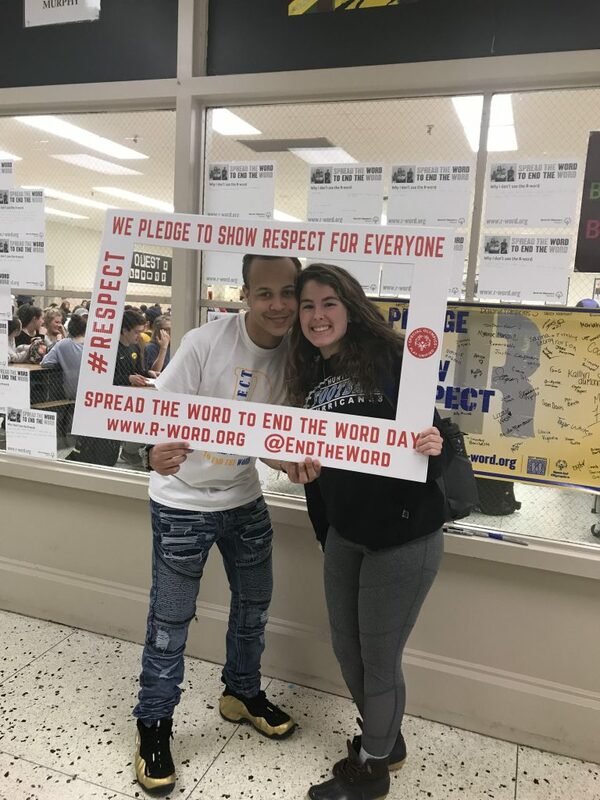 They promote replacing the r-word with respect and positivity. 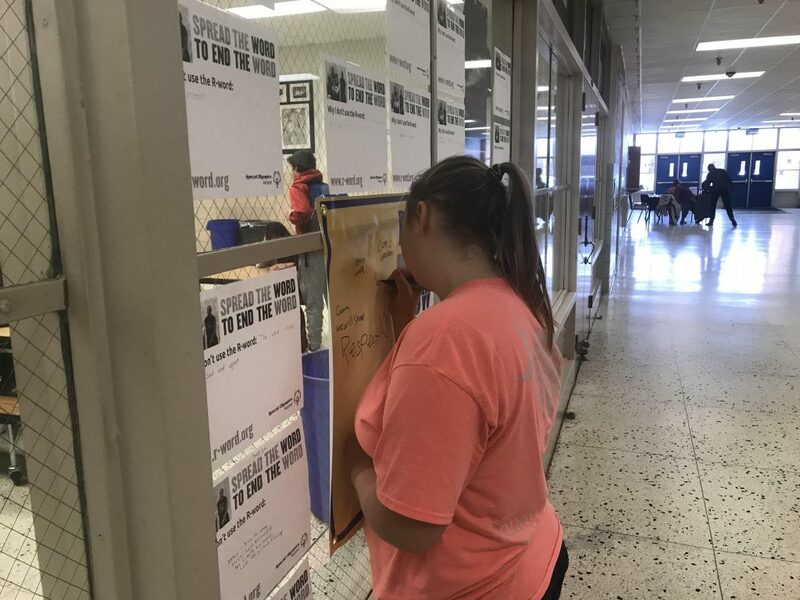 Southern High School’s Unified Bocce Team (a Special Olympics sponsored sport to unite students with and without disabilities on the same team) started a Respect Campaign at their school this year selling T-shirt’s, asking students to write down their “why” and having students sign their banner to pledge to show all students respect. The outpouring of love and support from staff and students was great. 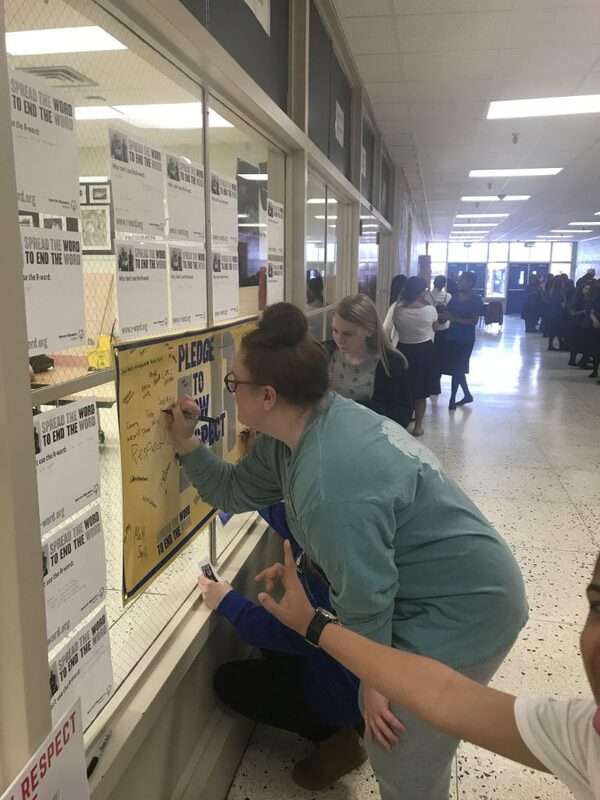 But the best moments can when athletes supported athletes, participants in other Varsity Sports showed respect for Unified Athletes, signed their banner and took photos to show their respect for athletes of all abilities.